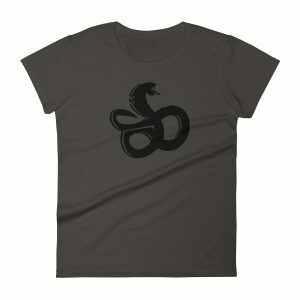 The Shivworks snake logo incorporates a knife edge in the tail. 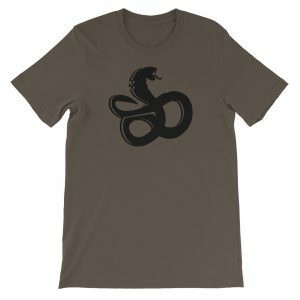 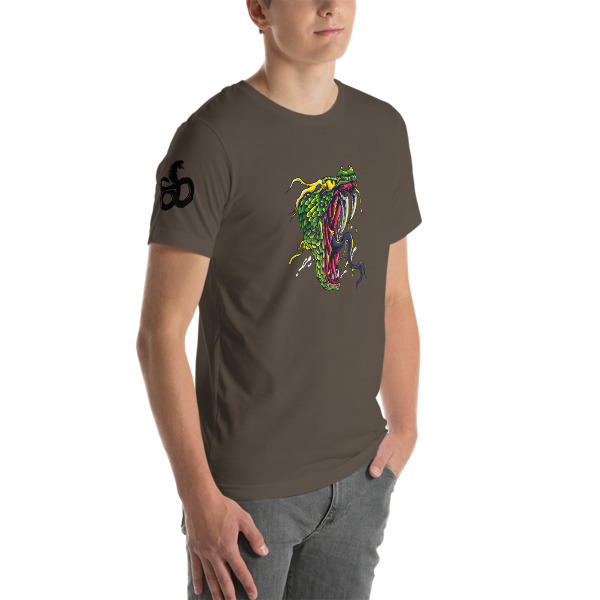 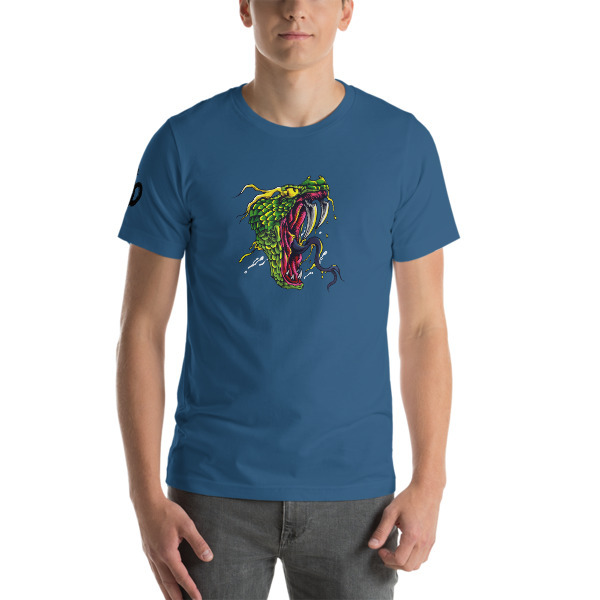 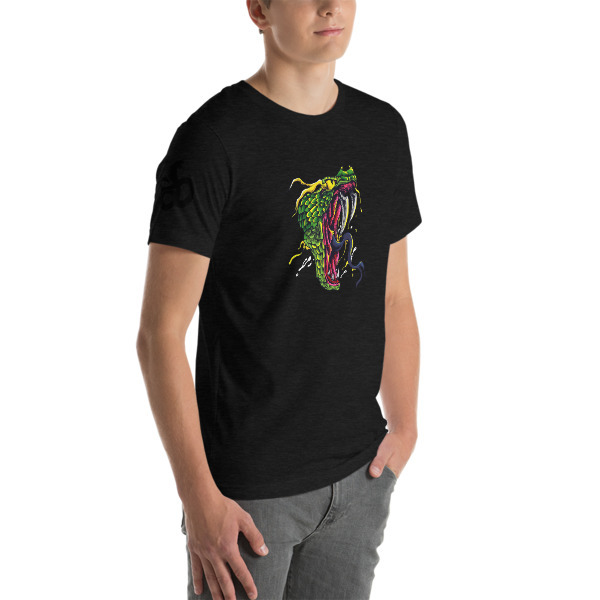 This shirt flips that idea and features a pit viper with Clinch Pick blades for fangs. 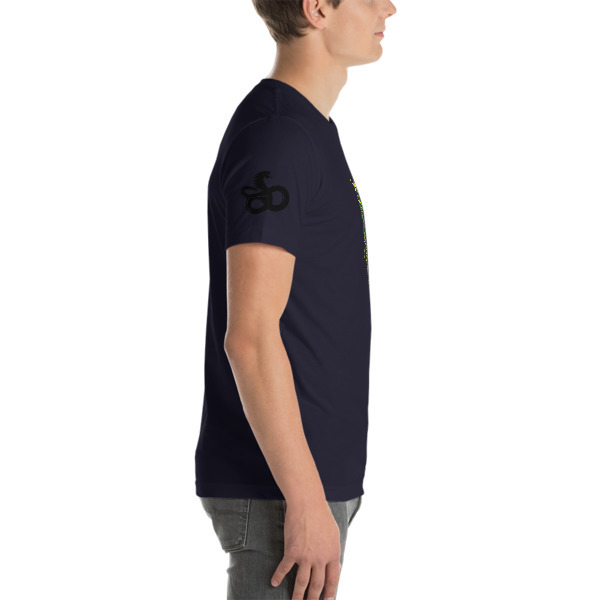 The Shivworks logo is printed in black on the right sleeve. Printed on Bella + Canvas blanks. They are more form-fitting than a standard Hanes / Gildan shirt, but not as tight as an American Apparel shirt. The fabric is soft and slightly stretchy.